Earlier this week on ABBA, Keren David wrote a super post on outlining. I read it with great interest as Keren and I often think alike on things – sometimes spookily so! It made me think about how I work. When asked, I always say that I plan, write a terrible first draft and then revise and revise, sometimes quite drastically, and that is basically true. Apart from when it isn’t. Star By Star, published in October 2017, was a commission, so I didn’t have to sell it on an outline. (Actually I have never sold ANYTHING on an outline, come to think of it, though I do write them for myself sometimes.) I love commissions – there’s the pressure there always is to get it right, but also the confidence of knowing the editor has asked for it and will publish it. The brief was wide and very much to my taste: We want a book about women voting in 1918, and the heroine has to be really strong. I was writing for my usual publishers Little Island, who know and trust me. Even so, it was a huge relief when they loved what I’d written. And that book came out more or less intact – there were changes between drafts, but nothing major. The book I have just finished and delivered to my agent was completely different. It’s an adult historical novel, and I started it two years ago. 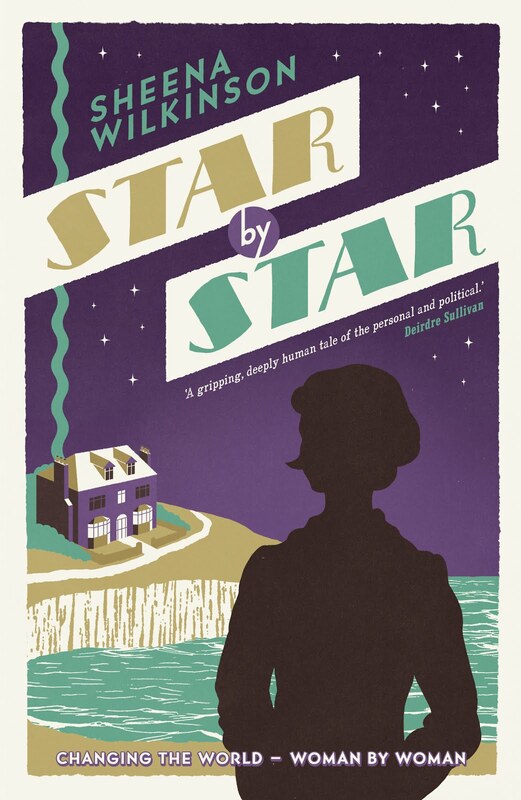 I had to take nine months away from it to write Star By Star, which was no bad thing, as I abandoned the first draft having no idea how the book would end. When I got back to it, I expected a Great Revelation to occur. It didn’t. It was very strange for me. I’m a planner, with a tendency towards pantsing when the characters get out of hand, which they sometimes do as I get to know them better, but I generally have an idea how it will end. Not in this case. The book eventually went through fourteen drafts – yes, fourteen, and every draft had a different ending. Great Revelations often revealed themselves, in the cold light of day, to be Silly Notions. My agent didn’t see all fourteen drafts; I think she would have disowned me. She saw three, and in very case was able to give the advice that helped me get to a draft we were both happy with. Why did it take fourteen drafts? I don’t know. It was a reasonably complex story I suppose, with three points of view. I love the new ending. I love the whole book, in fact, and though I got frustrated along the way, it was with myself, not with the characters or the story. There were no Great Revelations – the right ending was felt towards slowly and painfully, with many backward steps. And now it’s out there in the world, seeking its fortune, which is the really terrifying bit of the whole process. And I? I’m 30,00 words into a new adult novel. 100 years, two different timelines, stories connected in ways the readers, but not the characters know. What can possibly go wrong? At the moment I’m really confident about how it ends, but then last night, I was drifting off to sleep, I had a Great Revelation. Or maybe a Silly Notion. I won’t know until I’ve written it. Hopefully not fourteen times. Good luck with both books. Hoping that a Great Revelation lands in your lap, just when you aren't expecting it ... one of the nicest sorts of gifts that do, just occasionally, happen!